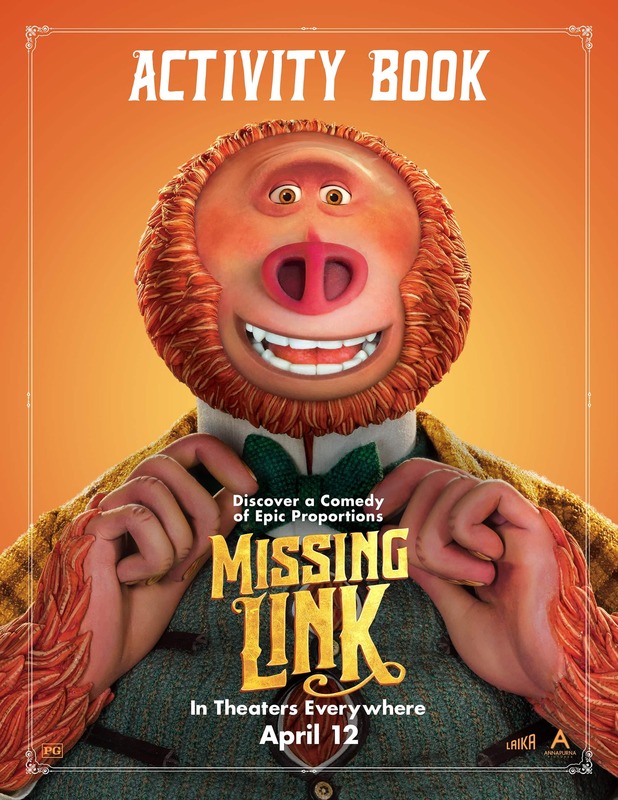 LAIKA Studios newest film Missing Link releases into theaters everywhere this Friday. 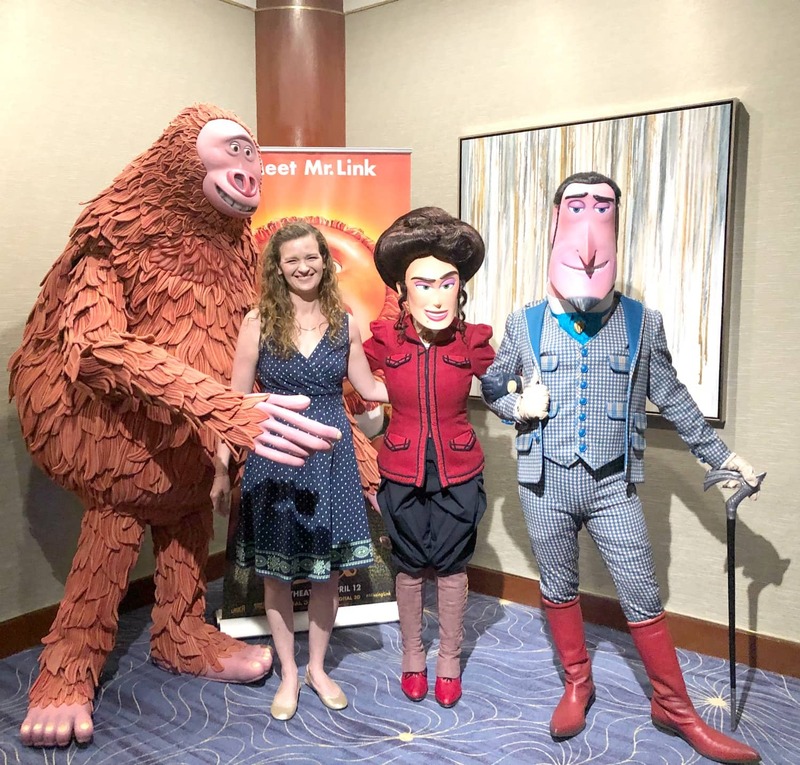 Last weekend I had the opportunity to screen the movie and participate in a press day to celebrate the opening of the film. 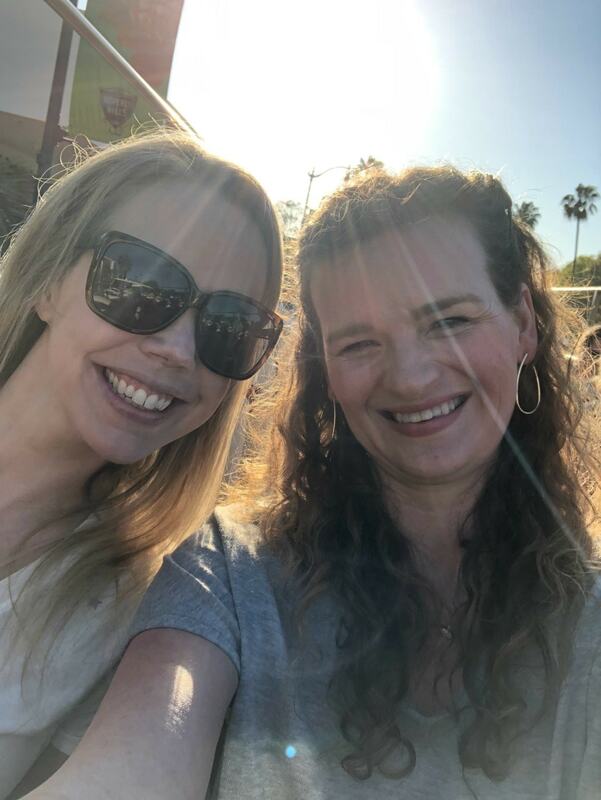 Today I am excited to share with you all the fun things I was able to do while I was there! 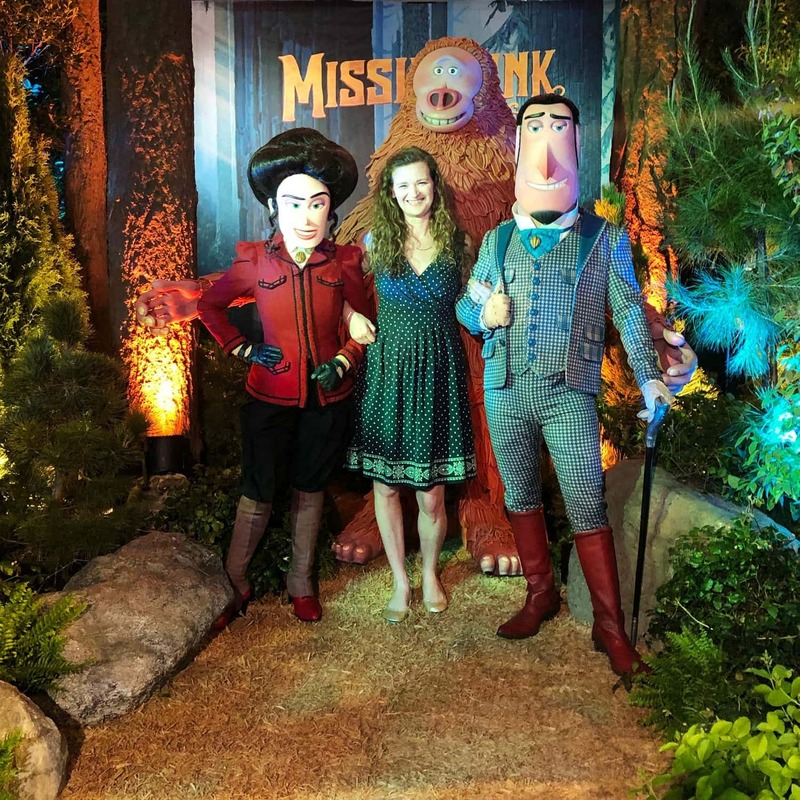 This post is in partnership with United Artists Releasing who provided me with a trip to LA for the Missing Link press event. I hope you already follow me on Instagram if you do you probably saw that I was in Beverly Hill a couple of weekends ago at the Missing Link press Junket. The event was held at the Beverly Hilton Hotel, the same hotel that hosts the Golden Globes. 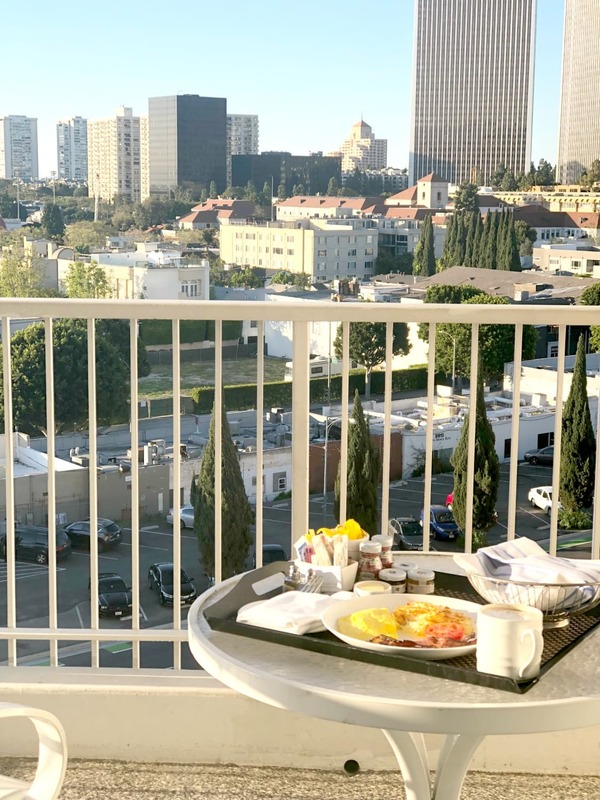 I LOVED this hotel, my room was amazing with its balcony overlooking some of the most famous streets in Beverly Hills. I brought my meals and my book out there and just enjoyed the sunshine! 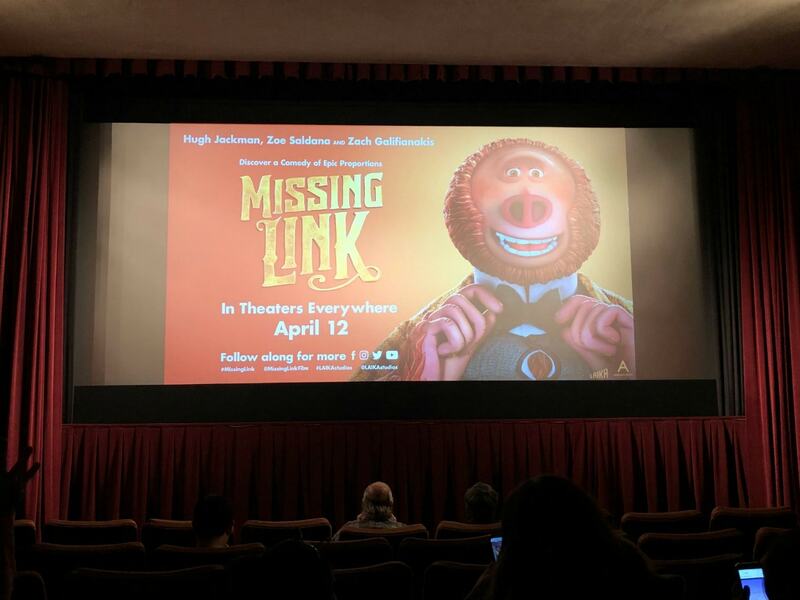 The first thing after arriving in California was to screen Missing Link. 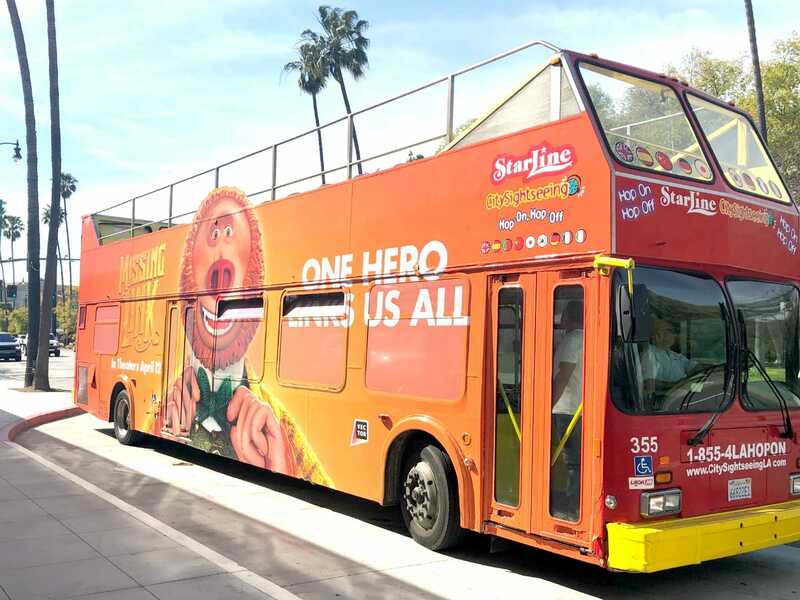 We traveled to the screening in style, aboard a Missing Link themed double-decker bus! It was a beautiful day in LA, so this was the perfect way to travel to the theater! After enjoying a pizza dinner, we all sat down to watch the film. In case you haven’t heard about the stop-animated movie starring Hugh Jackman, Zoe Saldana, and Zach Galifianakis here is a little synopsis. I will be posting a full, spoiler-free, movie review tomorrow, but I will say that I was pleasantly surprised by how much I enjoyed this film. It is a wonderful family-friendly adventure! It’s hard to imagine when you are watching the film that this is a stop-motion animated feature which means that these characters are actual puppets. While we were at the press event we had the opportunity to see some of these puppets up close. The details in each one of the characters are absolutely amazing! I can imagine that the ability to scale these puppets with their surrounding must be a very difficult task. Each frame of the movie has to be painstakingly shot with a still camera so each expression and movement needs to be precise. As you can imagine it takes a long time to film one of these scenes, but the result is worth it. I know that I will appreciate the movie, even more, when I see it a second time! Our press day started with a delicious breakfast and treats from Lolli and Pops. While we were enjoying our treats, we learned about some fun Missing Link themed books and activities. 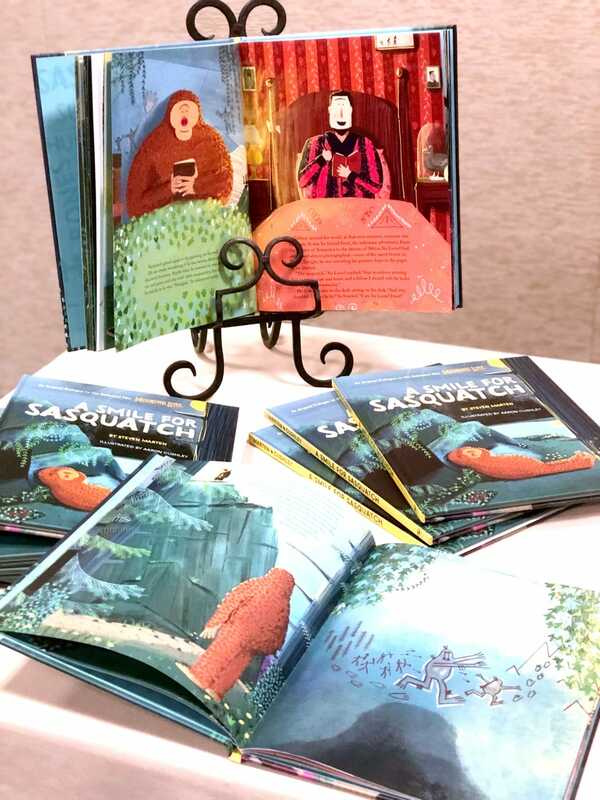 We were also given a copy of the book A Smile For Sasquatch by Steven Marten. This is an original story that was inspired by the Missing Link movie that is actually a prologue to the animated film so there are no spoilers if you haven’t seen the movie yet! 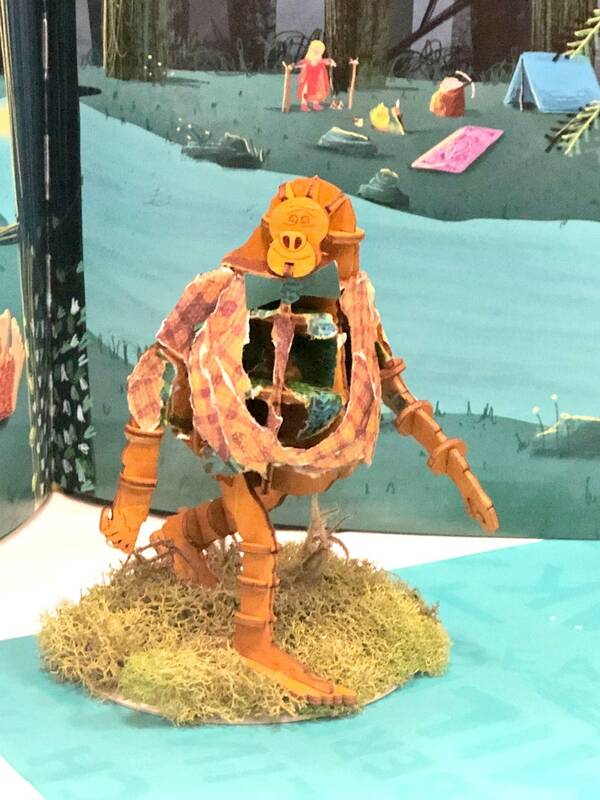 If you are a stop-motion fan, I would highly recommend you check out The Art of Missing Link that goes behind the scenes of the movie and offers some stunning artwork from the movie. I always enjoy looking at the artistry involved in making an animated movie. I couldn’t leave out my daughter and her love of all things stuffy related! I brought back a Susan stuffed animal with moveable arms that she instantly fell in love with! For some free printable Missing Link Activities, click the image above to download! 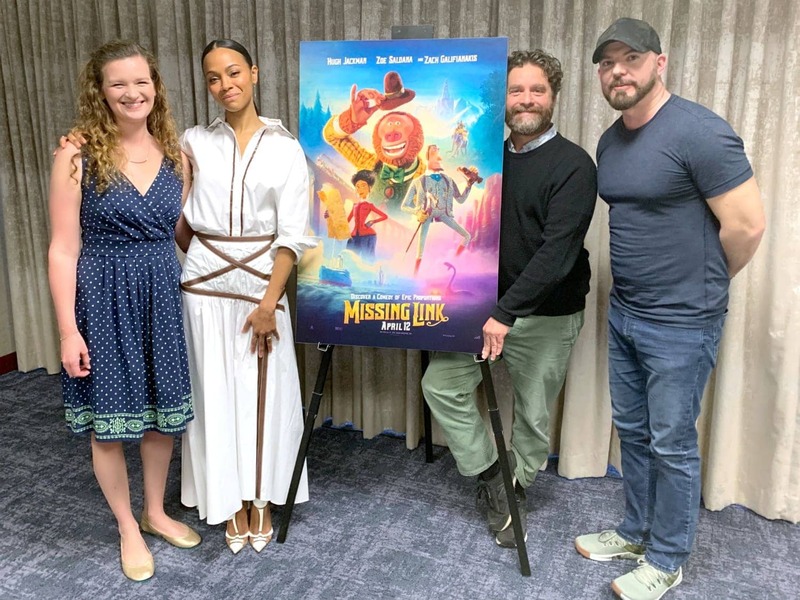 The highlight of our press day was a chance to sit down and talk with actors Zach Galifianakis, Zoe Saldana, and Director Chris Butler. I am so grateful for the opportunity to talk with the people who make these movies possible. I had no idea that Chris Butler first thought up these characters over fifteen years ago! You can read my entire interview here. After we were finished with the interview we had some fun photo opportunities with some of the loveable characters from the film. 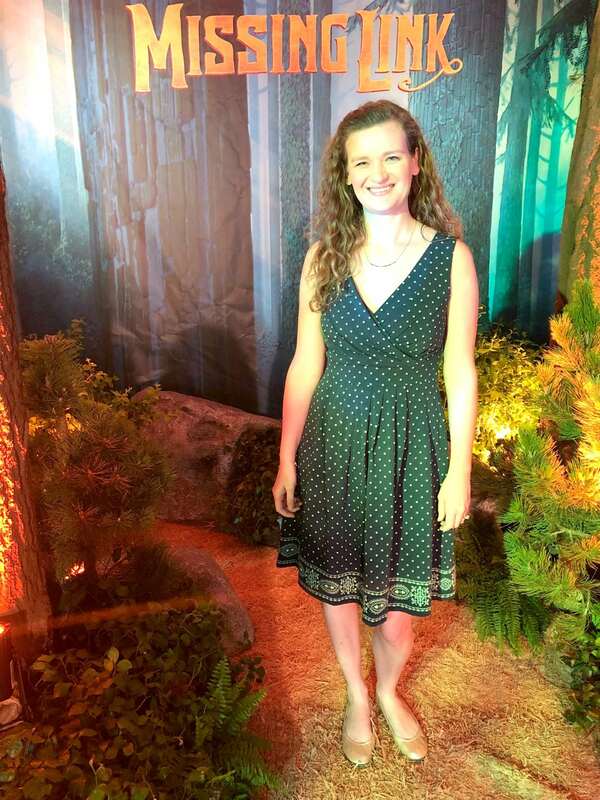 They even created a forest in the middle of the lobby! 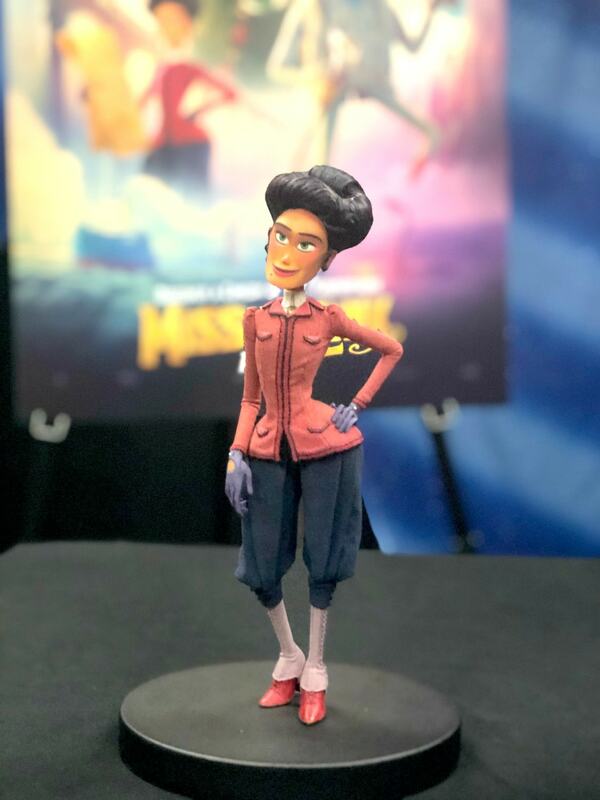 For a fun behind the scenes look at the puppets and sets used in Missing Link be sure to check out my friend Keri’s behind the scenes tour of LAIKA studios and don’t forget to check out my interview with actors Zach Galifianakis, Zoe Saldana, and Director Chris Butler. Stay tuned tomorrow for more Missing Link coverage leading up to the premiere on Friday!